Rev. Kevin Sandberg, C.S.C., has been appointed acting executive director of the University’s Center for Social Concerns for academic year 2017–18. Father Sandberg will serve in this role while Rev. Paul Kollman, C.S.C., Leo and Arlene Hawk Executive Director of the Center for Social Concerns, is on research leave. “I’m grateful to Fr. Paul Kollman and the Office of the Provost for the confidence they have placed in me to shepherd the center this year. We’ve just completed a new strategic plan that will guide our year together and enable us to move toward our vision of being a living well of social justice whose source is Catholic social teaching,” said Father Sandberg. Since joining the center in 2014, Father Sandberg has directed the Common Good Initiative, a Catholic social teaching immersion course for graduate students in Haiti, Cuba, Uganda, Jerusalem or Detroit. Previously at the center he taught immersion seminars in Hispanic ministry and education. He regularly teaches a development of theology course for undergraduate students who have participated in service learning. 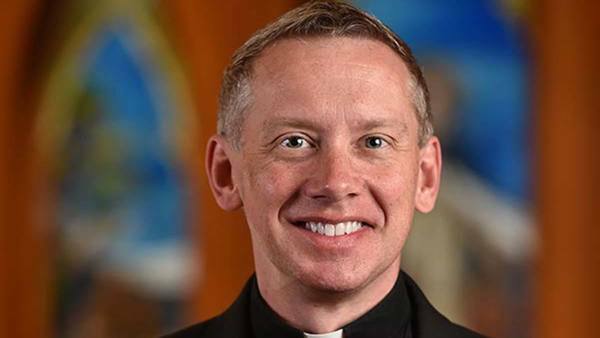 Father Sandberg received a bachelor's degree in economics and a master of divinity from the University of Notre Dame; a master's degree in theology from the Graduate Theological Union/Jesuit School of Theology; and his doctorate in religion and education from Fordham University. His research interests include theological reflection, pedagogies of compassion and the neglect of listening and its restoration through religious education. He is a fellow of the Institute for Educational Initiatives, a board member of Ave Maria Press, and a board member of the Religious Education Association: an Association of Professors, Practitioners, and Researchers in Religious Education. Prior to pastoral ministry as a member of the Congregation of Holy Cross, Father Sandberg was a trust officer with the Northern Trust Bank and a financial economist with the U.S. Treasury Department. He was the founding director of Young Adult Community at St. Clement Church in Chicago’s Lincoln Park neighborhood. Originally published by Shortall, JP at conductorshare.nd.edu on August 24, 2017.